"The people have decided that there are more important things than clean hands.."
Israeli President Reuven Rivlin begins today meeting the heads of the different parties to hear who they recommend be forming the next coalition government, but Israeli Prime Minister Binyamin Netanyahu is expected to be the chosen one and is already hammering out his newest coalition - which he said would not be a unity government (Maariv), making today’s top story. Also in the news, an Israeli delegation canceled its visit to Bahrain citing security concerns, after a public outcry broke out with protesters taking to the streets of the capital. Netanyahu May Have Won, but Israel's Political Landscape Has Fundamentally Changed (Anshel Pfeffer, Haaretz+) The disappearance of Labor and arrival of the largest centrist party in Israel’s history means that the next political battles will be fought on new issues: Not on peace or the Palestinians, but democracy. This little piggy had none (Shimon Shiffer, Yedioth/Ynet) As Netanyahu heads toward his 5th term, repercussions of his divisive campaign remain. Likud brass should expect to be disappointed as the lucrative ministerial posts, finance, defense and foreign ministry, are expected to go to coalition partners. It is worthwhile that all parties commit to respect their political adversaries. The Court Will Be Netanyahu's Punching Bag, With Nobody to Moderate the Blows (Revital Hovel, Haaretz+) Kulanu Chairman Moshe Kahlon says internal polling shows he lost voters because of his consistent defense of the legal system. The real battle is within the Likud (Mati Tuchfeld, Israel Hayom) Although President Rivlin has yet to task Netanyahu with forming the next government, senior Likud officials are already battling over who will be made a minister. Large-scale Intimidation Against Arabs on Election Day Shows Israeli Law Must Be Changed (Mordechai Kremnitzer, Haaretz+) A crime appears to have been committed here, and the motive was racist. The Knesset never imagined such a scenario. Across the Arab World, Women Are at the Forefront of the Revolution (Zvi Bar'el, Haaretz+) In Algeria, Yemen, Sudan and Egypt, women are at the helm of major change. But don't be fooled: Their rights still lay buried. The "baboons" won: When the media mocked Netanyahu for years, it mocked his supporters (Kalman Liebeskind, Maariv) After years in which the media treated the prime minister as the leader of a herd, this great herd got up this week, and for the fifth time it raised a finger at it. Unity Government? No, Thanks (Israel Cohen, Haaretz) While everyone else was busy with the submarines and Netanyahu’s catered meals, or with an Iranian hack of Benny Gantz’s cellphone, Arye Dery, Moshe Gafni and Yaakov Litzman were crisscrossing the country and amassing votes. Now, it’s payback time. The heads of the ultra-Orthodox parties will seek to reap the rewards and provide a long list of achievements for their voters, including a revised conscription law, requiring conversions to be performed according to Jewish law, preventing public transportation on Shabbat, and providing public housing and welfare allowances for families with many children. There’s no reason why Netanyahu, who knows who his loyal supporters are and even said so in every interview, should betray the trust they gave him and instead form a governing coalition with Gantz and Yair Lapid. What's the point of national unity government? 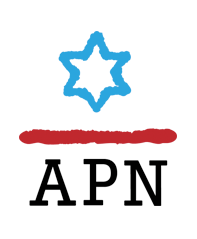 (Sever Plocker, Yedioth/Ynet) Coalition government headed by Netanyahu with Gantz as his deputy not only undermines the interests of the politicians themselves but also doesn't serve the interests of the country, which - despite how it may seem - isn't facing any overwhelming crises. Unity government - It All Comes Down to Lieberman (Raviv Drucker, Haaretz+) After the last election I was one of those who said: Let the right govern without excuses; let’s see them do it. They aren’t going to annex the territories and they won’t cancel the Oslo Accords. But while there was no annexation, it’s not certain that I was right. I was assuming that no government headed by Netanyahu would make progress on the diplomatic front, so there was no point in providing him with a fig leaf, as Barak did between 2009 and 2013 and Yair Lapid and Livni did in subsequent coalitions. I thought, how much damage could the right do? This time it’s different, because the potential damage that the right can do is real and significant. Perhaps even annexation, but certainly immunity for Netanyahu, a Supreme Court override clause, or a court that no longer has judicial review over legislation; an effort to castrate the Public Broadcasting Corporation and laws that will undermine the media in general. There's no way forward for Israel's left without the Arabs (Uzi Baram, Haaretz+) Many will say a political alliance with the Arabs is a clear recipe for failure for the Jewish public. But this is exactly the goal of winning hearts and minds. I am not looking for understanding from Miri Regev and Bezalel Smotrich, but from the sort of people who want to bring down the corrupt kingdom that rules here. If the Arabs vote with similar turnout to that of the Jews, a revolution is possible. To Boycott or Not to Boycott: Israel's Election as Seen From Ramallah (Amira Hass, Haaretz+) The debate among Palestinian citizens of Israel between participating in the election or boycotting it is not new, even if this year the participation rate continued a downward trend. Abbas is between a rock and a hard place (Yoni Ben Menachem, Israel Hayom) Palestinian Authority President Mahmoud Abbas’ stubbornness is forcing the Palestinians to accept any new situation imposed upon them by the Trump administration and Israel. Young Palestinians are digitally breaking Israel's Gaza blockade (Amira Hass, Haaretz+) The responses to the posts of the group of young people trying to speak out online about their desire to live freely are too hostile to be believable. Are they bots? Salaries employees of an Israeli ministry? Kahane supporters? Abbas cannot take Israel to court (Eldad Beck, Israel Hayom) The Palestinians would be ill-advised to ignore Trump's threat of punishing those who try to prosecute Israel at the International Criminal Court. Meet the World's Last, Best Hope to Prevent Israel's Annexation of the West Bank (Abe Silberstein and Daniel J. Solomon, Haaretz+) America's no longer pretending to be an honest broker. The Arab world's no longer pretending to care about the Palestinians. That leaves France's Macron holding the whole future of the Middle East peace process in his hands. Trump’s clear view of the Golan Heights ( Clifford D. May, Israel Hayom) International law does not license aggressors to launch risk-free wars. 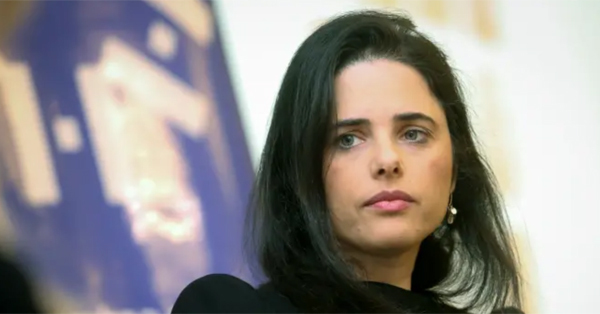 *Former justice Eliyahu Matza: “(Ayelet) Shaked's agenda went bankrupt because the people did not buy it"
The public claims that a case is being built against Netanyahu. "The people ousted Shaked, but at the moment her agenda has gone bankrupt because the people did not buy into it. The people want a right-wing government and Likud, but also the rule of law, and her campaigns with the perfume that 'smelled of fascism' were not to the point and they deterred the nation. There is a large voice among the people that does not want a one-man government, does not want the rule of a fascist majority, so the people did not accept her agenda…There were very harsh statements. They tried to undermine the status of the rule of law. I heard a newly elected MK named May Golan who said her main goal was to restore power to the elected officials, because this country is run by judges...I think it's ignorance. This country is not run by judges. She said she wanted a law to bypass the High Court and other things. To say 'the judges have taken over,’ ‘a dictatorship of judges.’ This is very embarrassing." "Yariv Levin did not hide his harsh criticism of the High Court, and especially of the High Court of Justice. He said it in countless words: He was a bit of a mentor of Ayelet Shaked. He sent poisoned arrows on different occasions, with the same distorted perception. (He said,) the judges took control of the system, when actually we have a High Court that is among the most restrained. If the Knesset respected itself as the High Court of Justice respects it, our situation would be much better. There is an unhealthy arm-bending phenomenon, and we must take advantage of this period to understand that in order to establish a democratic state, we need a rule of law."